The Humanities Center has appointed four new student fellows to serve as liaisons between the center and students looking to enrich their academic experience. PROVO, Utah (April 17, 2015)—Students take classes, professors do research. At most universities, there is little to no overlap between these divisions of labor. But Brigham Young University isn’t most universities, and students here are given ample opportunity to work with their professors in research. 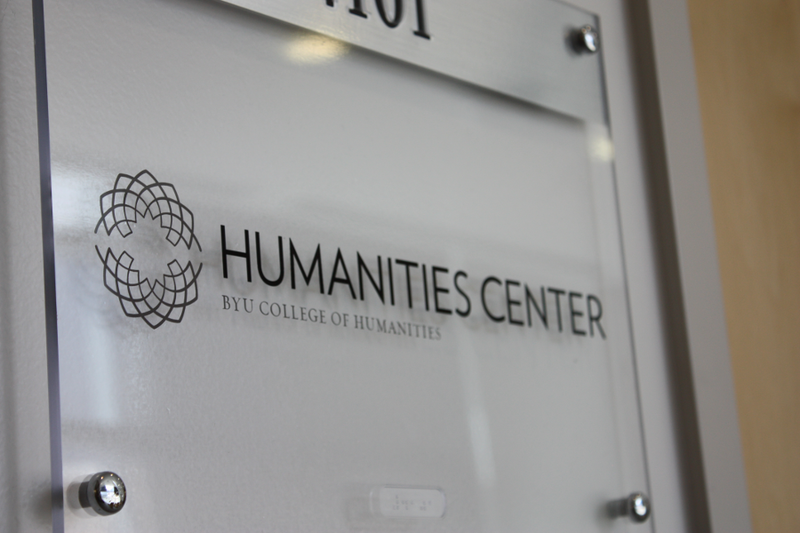 To this end, the Humanities Center, the research institute of BYU’s College of Humanities, has student as well as faculty research fellows. The students serve as liaisons between students and faculty, ensuring that students know about the research being conducted within the college and how they can be a part of it. These student fellowship were made possible by a generous donor, and new students are selected every year. After an in depth interview process, four students were selected as the Eliza R. Snow student fellows and scholarship recipients for 2015-16: Rachel Cannon, a linguistics major; Chelsea Connelly, an art history major and women’s studies minor; Andrew Rees, a double major in Spanish and neuroscience; and Tamara Thomson, an English major and creative writing minor. “Our undergraduate fellows are outstanding students and great representatives of the humanities,” said Matthew Wickman, who helped interview and select the student fellows. He further explained that disciplinary diversity among the fellows is an important consideration and that the fellows represent different departments and disciplines of the humanities. The students are responsible for organizing and managing the college’s annual O.R.C.A. (Office of Research and Creative Activities) Symposium, held every fall semester. Beyond that, they will help to promote Humanities Center events (such as lectures, colloquia and symposia) and act as go-betweens for students looking to get involved in the Center’s many research groups.